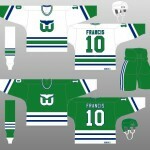 Should the Hartford Whalers be the Next NHL Team? We’ve finally joined Facebook, so please “Like” us!! 🙂 There is also continuing work to complete backend updates to our photo galleries and add various pictures that folks have sent us over the years.